After the "Orchids Collection" we now present the "Roses Collection by Lalita". A delicate collection with handmade roses. Each rose represents a woman fighting against breastcancer. The world should appreciated our roses and that's why we should stand together and support every person fighting against this disease. With this collection we support breastcancer awareness by donating part of our sales to the different foundations. My passion for fashion started at the age of 11, when I had designed my first outfit for a school party using my mom’s sewing machine. My parents were always involved in fashion as retailers, selling children's clothing for many years. Therefore it was not a big surprise for me to go back into that business. Selling fashion was also their biggest passion and happiest time ever. Being back in this business brings me closer to their happiness, fulfilled with the best memories. “The Orchids Collection by Lalita”, which I have dedicated to my parents. They gave me the opportunity to follow my dreams and passion again. Although they are not with us anymore, their passion for fashion will always live on in my hands and brand forever. with Indian roots, born in Suriname and grown up in The Netherlands, Lalita decided to follow her fashion dream and launched her private label FashCrash by Lalita in 2014. After her extensive career in the business world, she decided to translate her experiences in the world into a delicate collection of eveningwear where you could see a mix of cultures around the world! This collection (Orchids Collection by Lalita) was dedicated to her late parents who actually gave her the opportunity to follow her dreams. 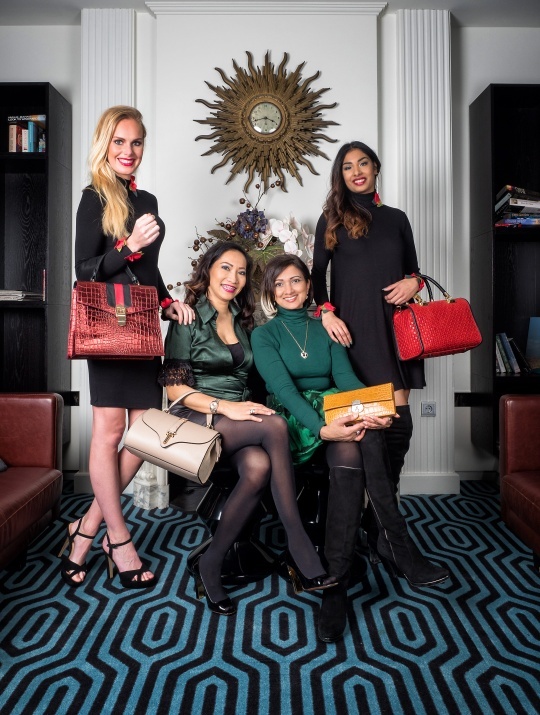 Lalita’s mission is not just focused on fashion. She also works for the European Climate Foundation (ECF) – a ‘foundation of foundations’ – established in early 2008 as a major philanthropic initiative to help Europe foster the development of a low-carbon society and play an even stronger international leadership role to mitigate climate change. She believes it’s a good example for ‘her children (13 and 17) that you could follow your dreams but should not forget the reality in the world. This is her passion for fashion and also her mission. 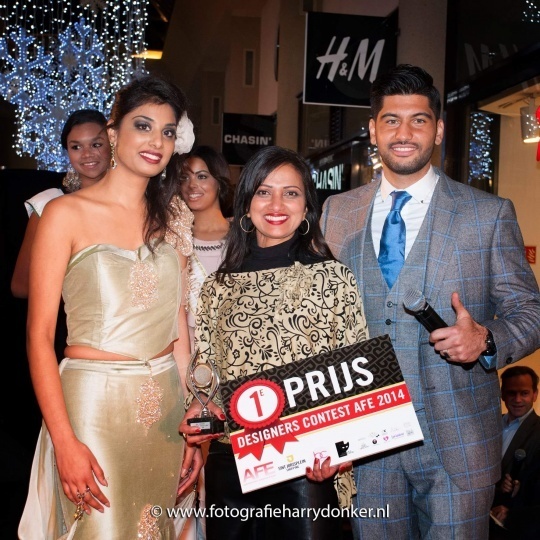 Winner designer best recycling outfit for the Miss Avantgarde Netherlands 2015 beauty pageant. All Haute Couture items are made to measure. Please fill out the size form and return to us with all required information. If you have any questions, please send us an email at lalita@fashcrash.com and we will try to help you as much as we can. For BtoB customers we have a showroom in The Hague. Please call or send a message if you would like to visit our showroom!